The picture above was made on a late 1980s road trip in the VW Kombi along the southern coast of Australia then back along the River Murray. 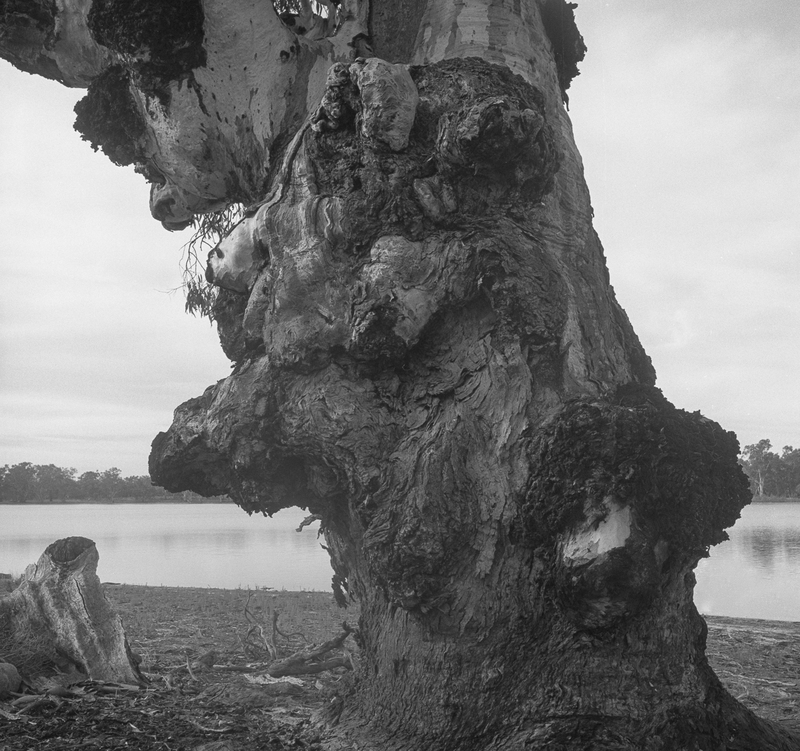 Other images from this road trip— e.g., the La Trobe Valley and the Riverland trunk images —can be found in this earlier post about the Adelaide Photography book. The landscapes do not feature in my portfolio in the Adelaide Photography book, but they do connect with the emerging Our Waters project on the River Murray. 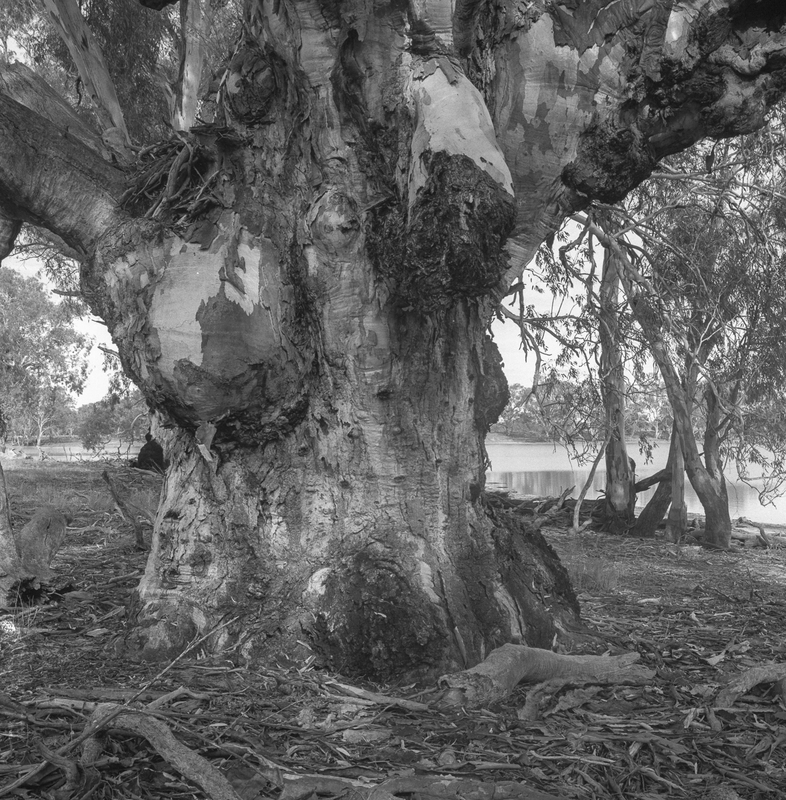 They are of a River Red Gum forest in the Barmah National Park in Victoria. From memory the park is a large flood plain and wetland area. My understanding is that the Millewa Forest, on the northern banks of the Murray River in NSW that is adjacent to the Barmah National Park, became a national park in 2010 and was then renamed as the Murray Valley National Park. These two parks, constituting a cross–border national park, are the largest continuous red gum forest in the world and have been chosen as as one of six icon sites due to their high conservation value and encompass floodplains, wetlands and forests.